Polygons with finger joints can be friction-fit together to make many kinds of structures, including tessellations and polyhedra. 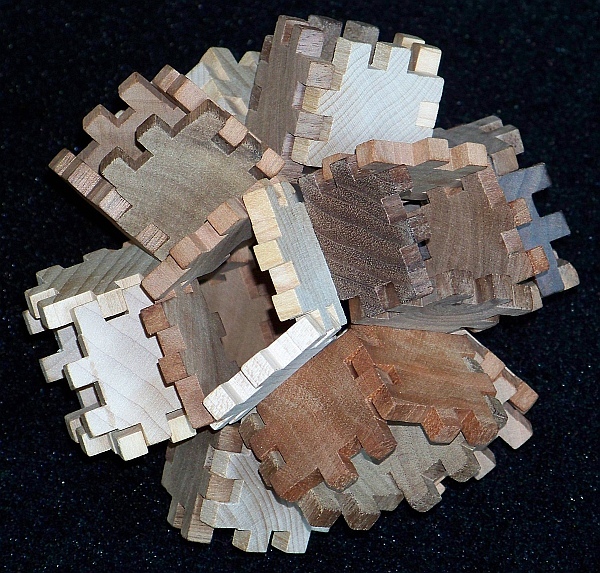 But one never has enough parts for larger and larger projects, so Steve Garrison makes his own from wood. 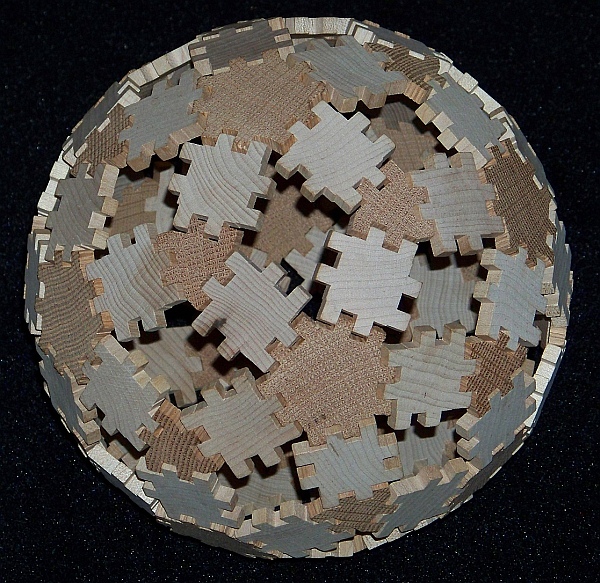 This ball comprises 60 squares, 20 triangles, and 12 pentagons, with 30 rhombic openings. Working just in the plane, pentagon cycles close into ten-sided polygons which can overlap nicely. 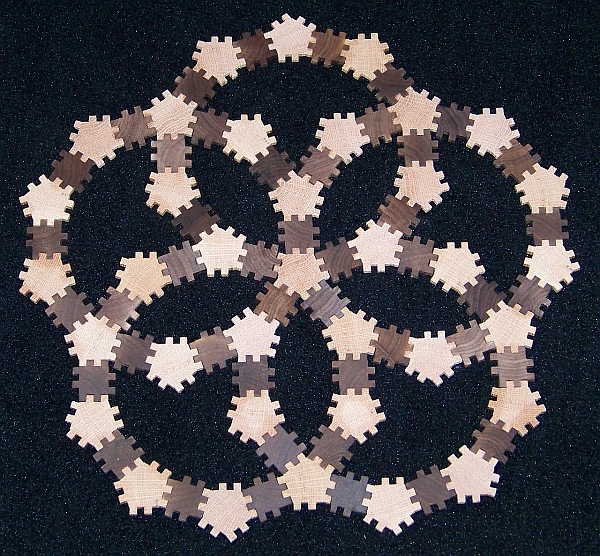 This pentagon tiling derives from explorations by the astronomer Kepler. It may be surprising what structures you can make with just squares, if you have enough. The basic unit in the above structure comes about by imagining space packed with rhombic dodecahedra, then separating each from its neighbors with rhombic prisms as connectors, and building just the square faces of the prisms. 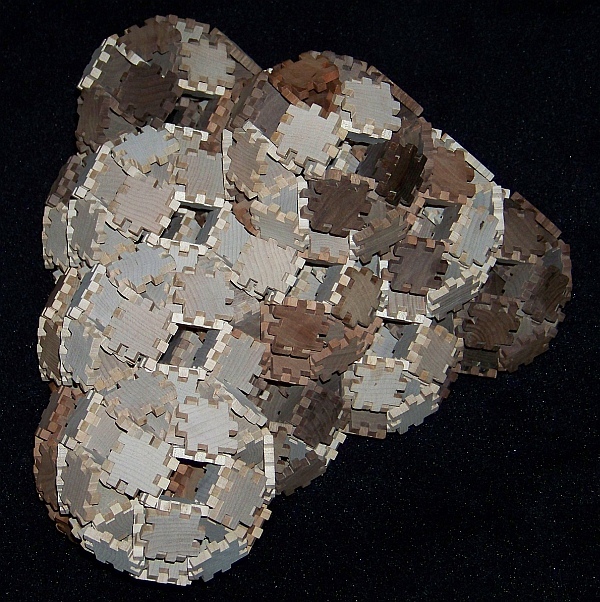 Equivalently, one could start with the dual packing of octahedra and tetrahedra, expand it with triangular prisms, and build just the square faces of the prisms. This article first appeared on Make: Online, August 22, 2011.